April is Child Abuse Prevention Month. In recognition of that, this display, created by a local Eagle Scout, is being featured on the lawn of Franklin Police Headquarters. 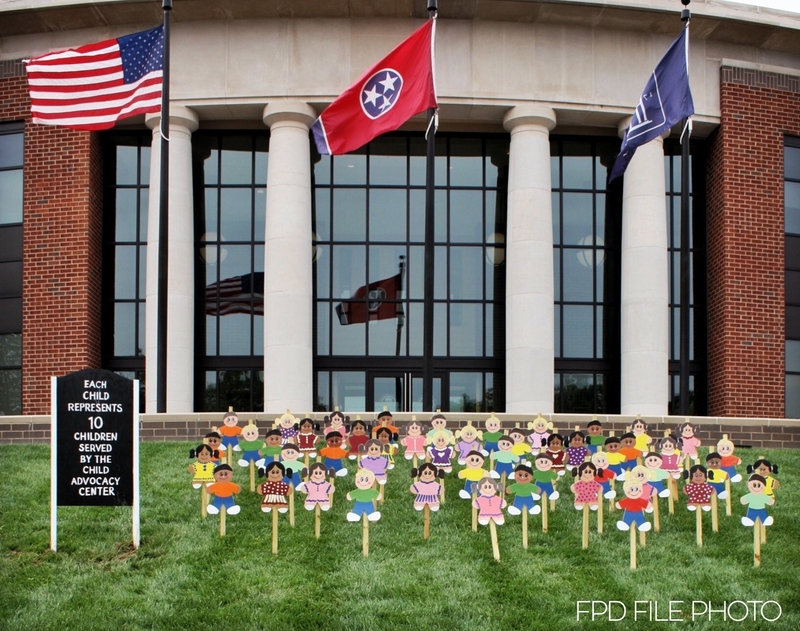 The 30 ‘kids on the lawn’ represent the 300 abused Williamson County kids served by the Davis House Child Advocacy Center last year. “This display helps to provide a real visual that shows what so many kids and their families in our community face,” said Davis House Executive Director Marcus Stamps. Partnering with police to help young victims and their families through unthinkable situations is why the Center exists. April was first declared Child Abuse Prevention Month by presidential proclamation in 1983. Since then, April has been a time to acknowledge the importance of families and communities working together to prevent child abuse. Child abuse and neglect affects more than three million US children, annually.